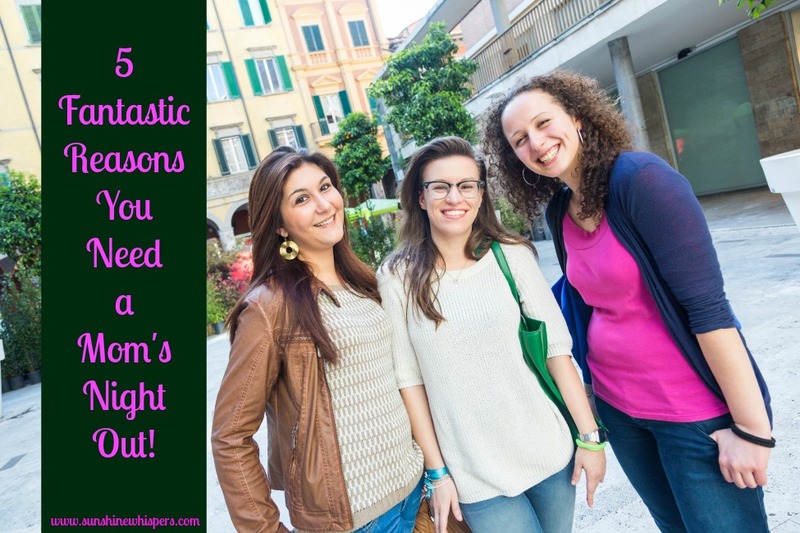 5 Fantastic Reasons You Need a Mom's Night Out! Hi Mom! When is the last time you did something fun with friends that didn’t involve swings, sippy cups, and adults dressed in costumes that require their own air conditioning unit? Wait, wait… I know, you have moved out of the young child stage of parenting. You have exchanged Elmo and Sophia the First for soccer tournaments and navigating the murky waters of teenage angst. Still, when is the last time you went out with your girlfriends– without kids, and without your better half? You know, a Mom’s Night Out? Well, I was recently given the opportunity to take a much needed Mom’s Night Out (more on that below), and I have to tell you that it was glorious! If you are on the fence, consider these reasons why you need to call (or text) your BFF today and plan for some Mommy-only fun! Conversation: So, if you get two or Moms together there is a pretty good chance the conversation will focus on the kids. That is fine. However, wouldn’t it be great to actually have that conversation without your wee one interrupting mid-way through your first sentence? Also, eventually you will likely shift topics.. and then, just maybe, you and your Mom friends might get to talk about something fun for grownups– like whether or not the new bistro has a good brunch menu, or the latest novel you wished you had time to read. Try Something New: Mom’s Night Out can take many forms. My most recent adventure included learning how to decorate a cake with fondant.. just like a Cake Boss. It was so much fun to try something new. Search your local news websites or community groups for ideas– a crafting class, cooking demonstration, a challenge course? Really, there is no wrong answer here. The point is to have fun… without glitter and glue (unless that is what you are into of course). Unplug: I don’t know about you, but when I within a mile of my daughter, I am ‘on.’ Even if I try to turn off, I am always finely attuned to her needs, wants, etc.. The value of a Mom’s Night Out is that for a few hours, the only person you have to be ‘on’ for, is you! 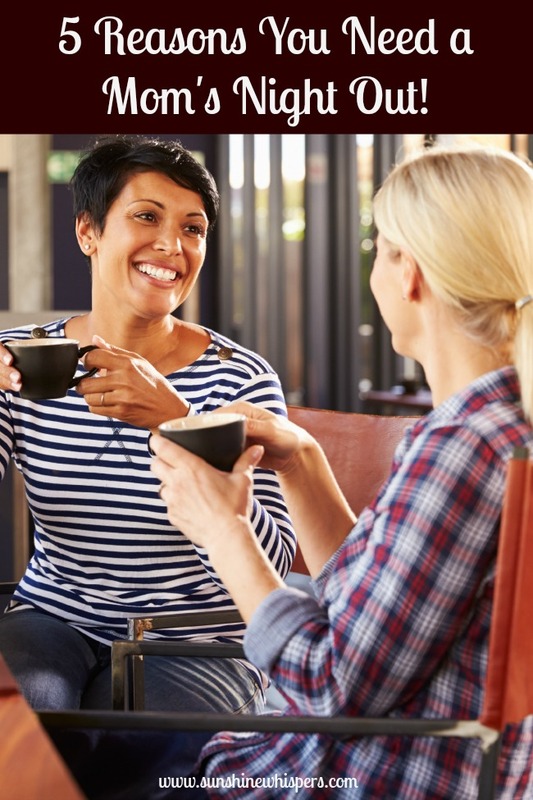 Strengthen Friendships: Just like it is hard to have an adult conversation while picking peanut butter and jelly out of your kid’s hair, it is important for Mom to spend quality time with friends on an adult level. 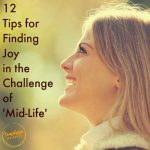 It provides you with much needed emotional strength, and honestly, it is good for your kids to see the value you place in developing friendships as well. Recharge: What if someone told you that by taking an occasional break from the ‘joys of parenthood,’ you would actually become a better parent? Well, it is true! When you take some time for yourself, to be with friends– or even to just have a few minutes of personal autonomy– you recharge your Mom battery. 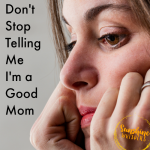 After your Mom’s Night Out, you will likely return home, kiss your sleeping angel on the forehead, pull that blanket back on their deceptively docile body, and dream of all the fun things you will do together when the new day dawns. We all need a break. We all need time with our friends. We all need a Mom’s Night Out. When are you going to plan yours? Note: I was compensated for participating in this crafting experience. However, this is my true opinion of the experience. Read more about my disclosure policy here. 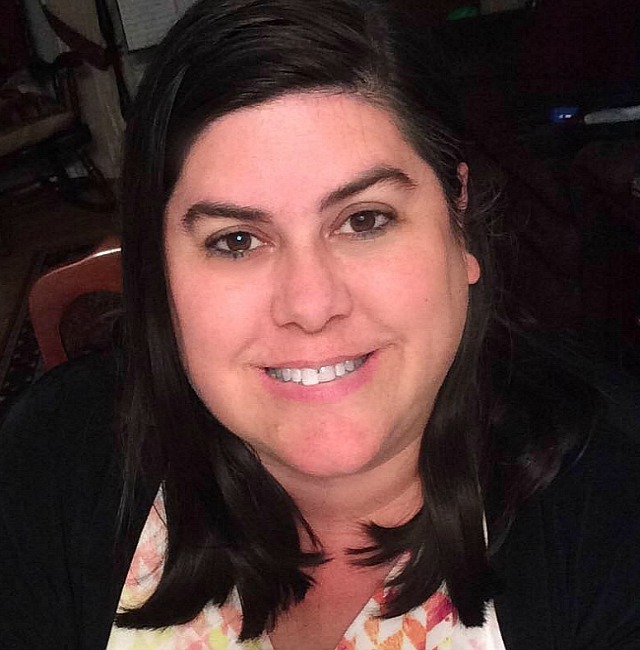 Recently, I had the amazing opportunity to go on a Mom’s Night Out cake decorating party at a really cool place called Make Meaning. 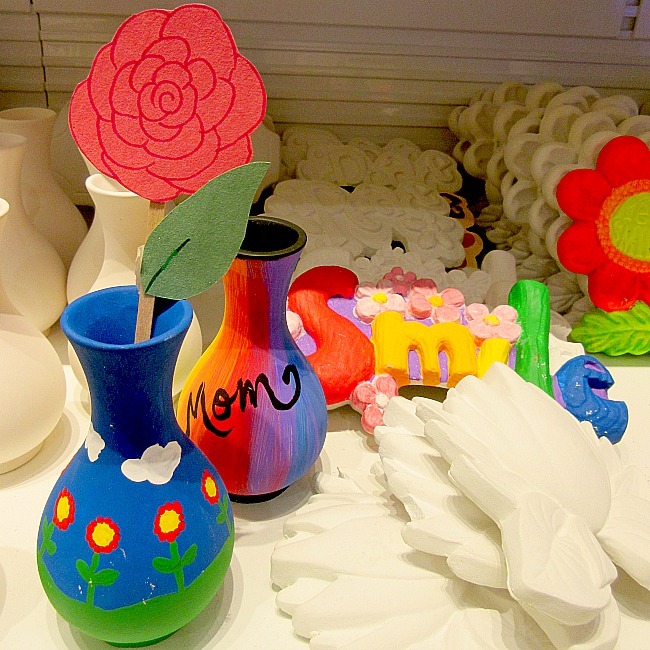 Make Meaning is a crafting experience destination focused on fun and creativity. 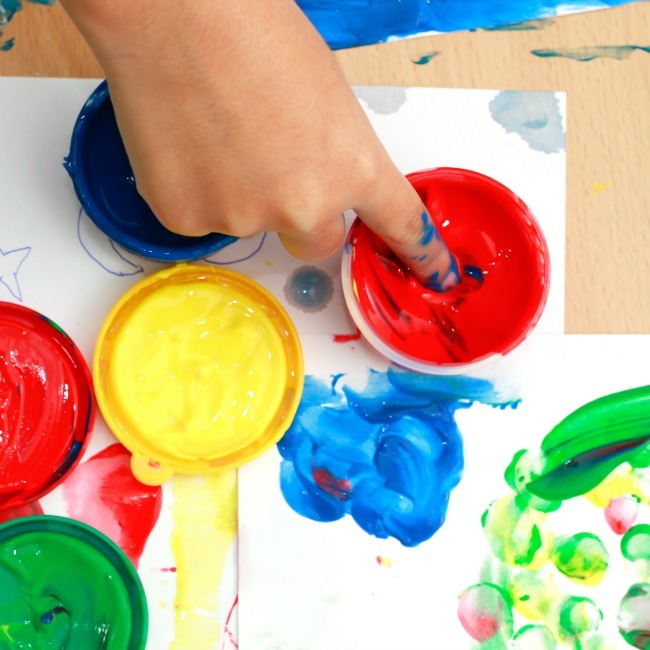 They offer a wide variety of unique crafting parties designed for both kids and grownups. There are currently four locations (Arizona, California, New York, and Maryland). 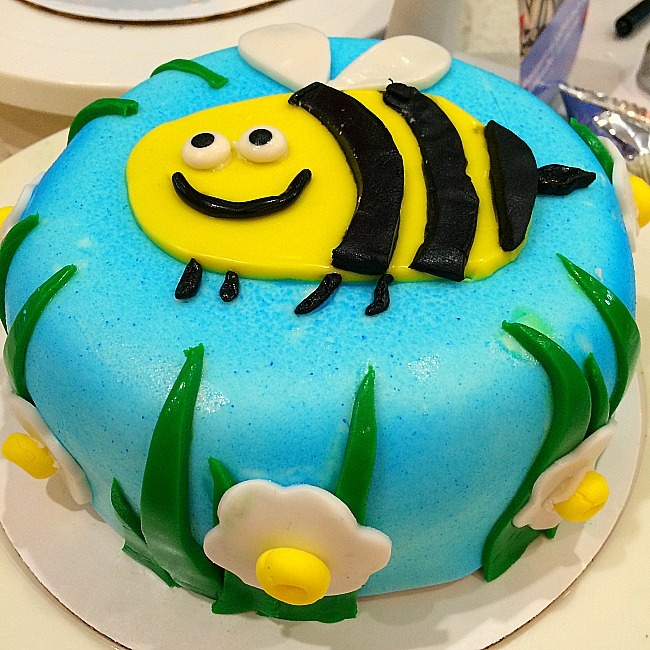 My friends and I signed up for a cake decorating crafting experience at the location in Bethesda Row and had the ultimate TGIF Mom’s Fun Night. Never having been to this type of crafting experience, we had no idea what to expect. After dinner, we showed up ready to play with some fondant though. We were greeted with our very own ‘Creativity Enthusiast,’ who had cake decorating stations set up for each of us. 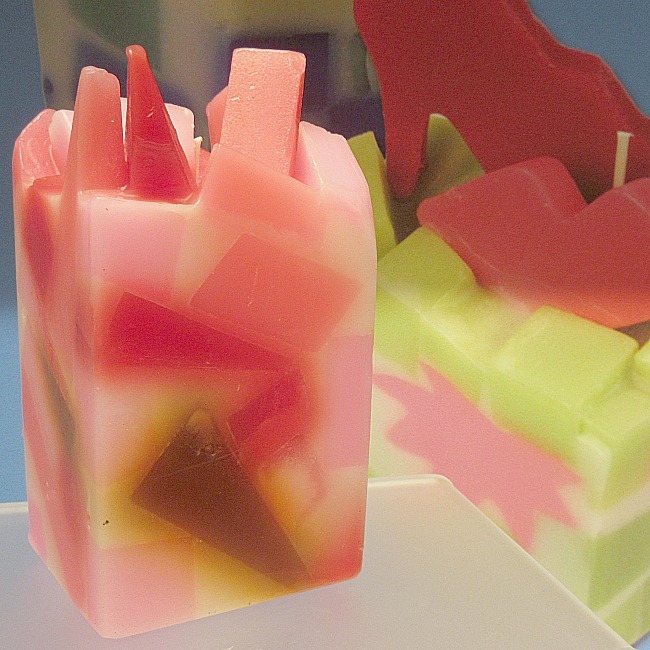 Before us was a cake, covered with white fondant– a blank slate– and a variety of idea books. The idea books were full of super cute cake decorating themes meant for a variety of tastes and levels of complexity. Also, if you wanted to create your own decorating idea, the ‘Creativity Enthusiast’ was on hand to help with design details and ideas. After we picked our theme of choice, the first thing we each did was spray paint our cakes. Yep, you heard that right. 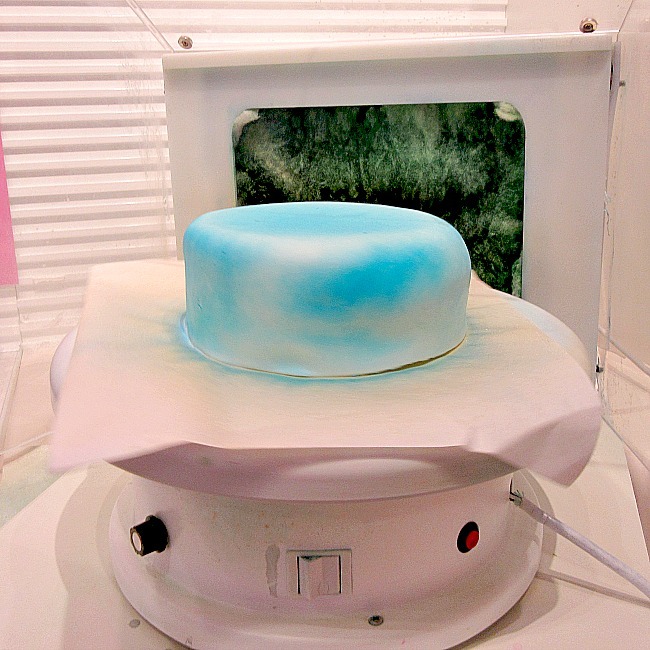 We spray painted our cakes with a fine mist of frosting. It was pretty slick actually. 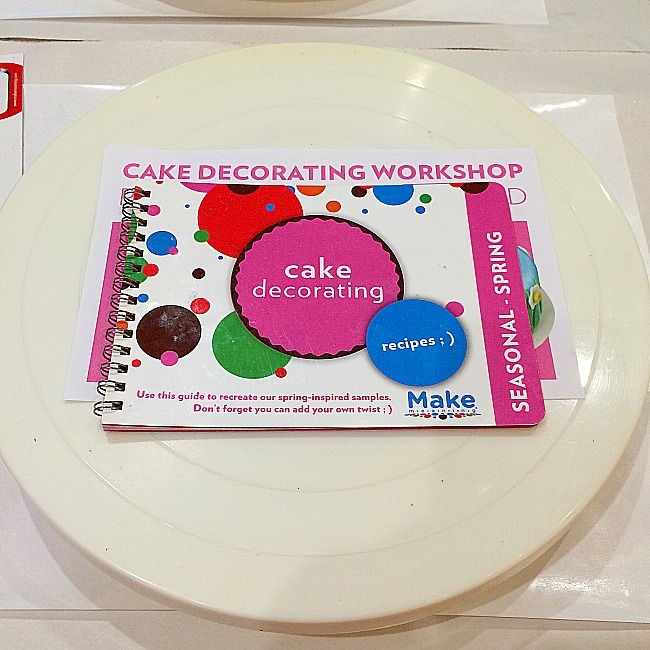 After that was done– and as the ‘paint’ began to dry, the ‘Creativity Enthusiast’ stocked us up with the fondant colors and tools needed to become our own cake decorating design heroine. The idea booklet also doubled as an instruction booklet, providing helpful tips on how to make our cake look like the ‘professional’ one. 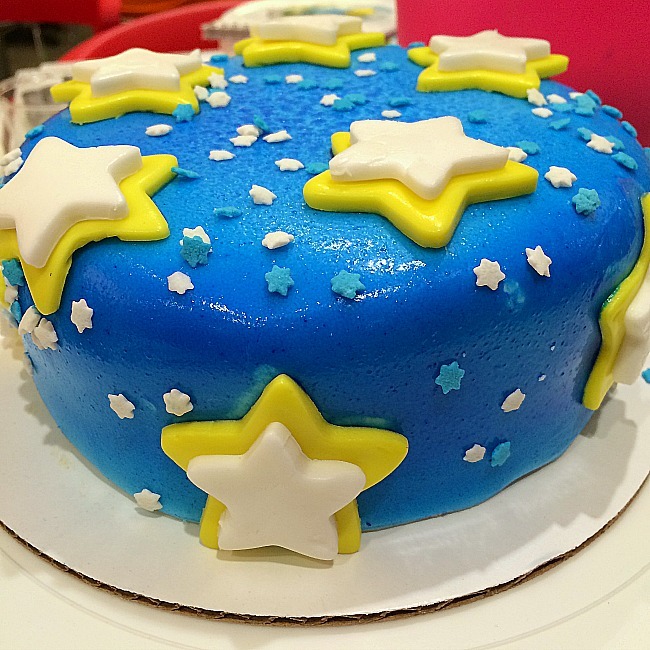 It was really so much fun to play with the fondant (which was like modeling clay.. only better tasting), cut, paste, smooth, etc… Of course, you really can’t let good fondant go to waste. My assumption was that the cake would be pretty to look at but taste blegh. That could not be further from the truth– the fondant was a marshmallow fondant and was really delicious. The cake itself was a delicious vanilla cake with buttercream frosting. Wow, it was tasty! So, after about 1-2 hours of fondant fun, our cakes were finished. There are activities geared towards adults and children. As we worked, a kid’s birthday party involving ceramics painting was just finishing up. 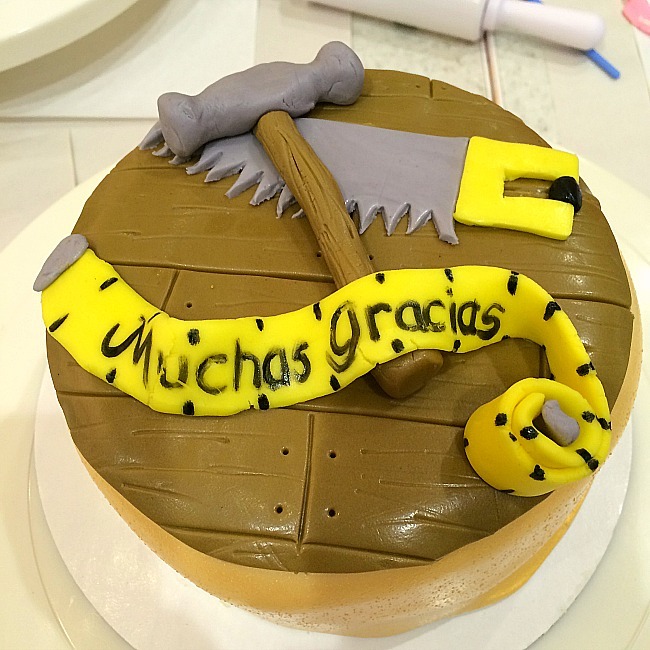 Overall, the experience was truly fantastic and all of us Moms left refreshed after a great evening spent doing something fun– just for us (ok, the cake was consumed by my family… but you know what I mean). The staff was professional and incredibly helpful, and the entire process was a blast! 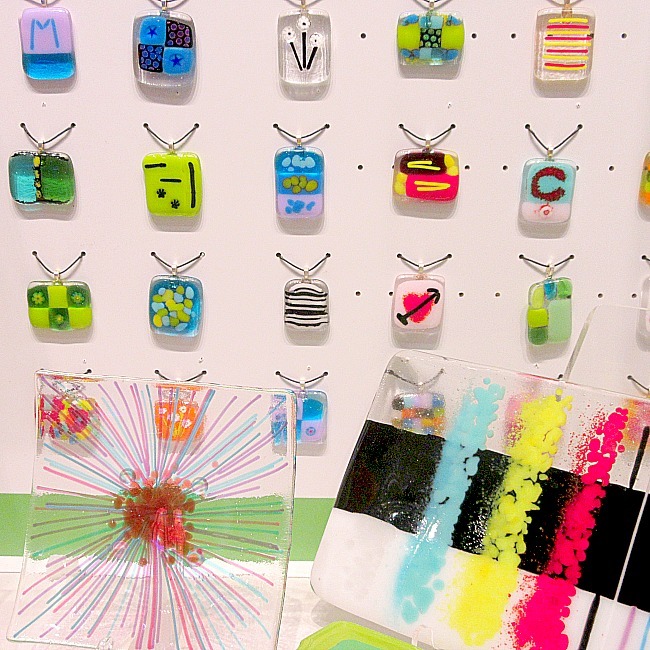 As we left with our cute cakes boxed up, we discussed how much fun it would be to come back and make glass jewelry, or make candles, or…. 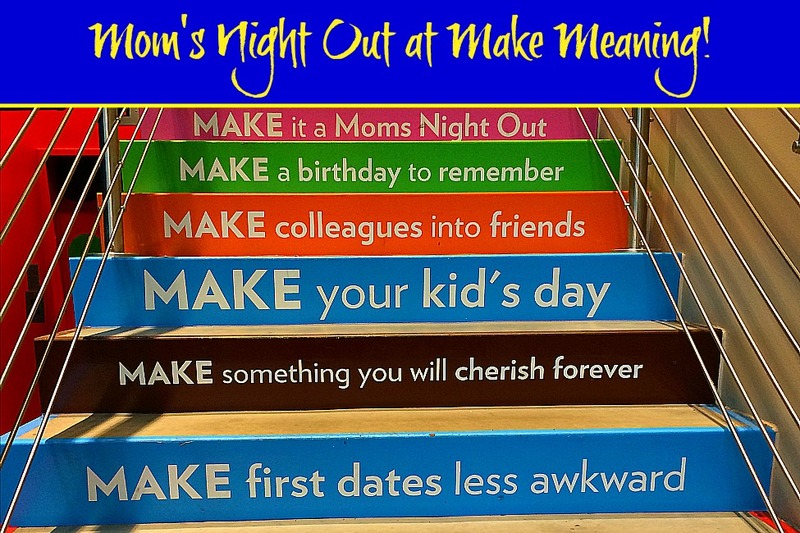 If you need a great idea for your next Mom’s Night Out, or if you need something fun for your kid’s birthday party, check out Make Meaning. 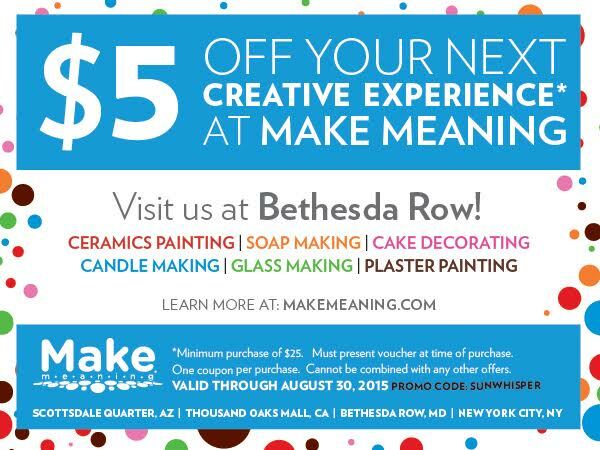 Also, if you live in the greater DC-Baltimore area and would like to try Make Meaning out for yourself, bring this coupon with you to get a great discount!